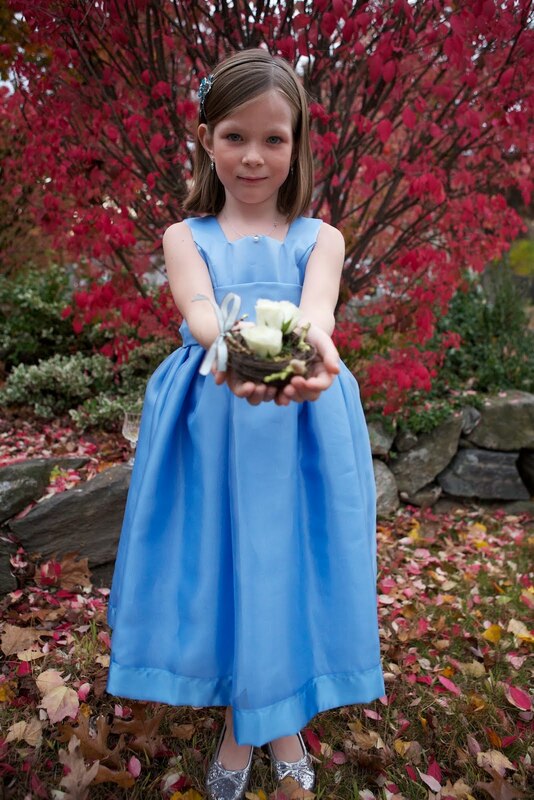 The autumn of New England makes for great picture opportunities for any wedding or event. And as far as I see it there is no better opportunity than the beautiful burning bush. I’m always on the lookout for interesting color and texture and this bush provided exactly what I wanted. This particular bush was located in the brides front yard. 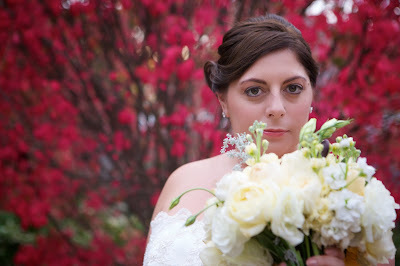 I used it as a gorgeous backdrop of color against the cool blues and whites of the bride and flower girl. 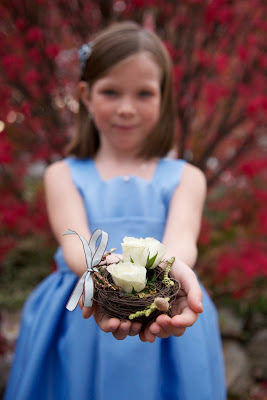 Another interesting note is the flower girl’s bird’s nest. A terrific idea! 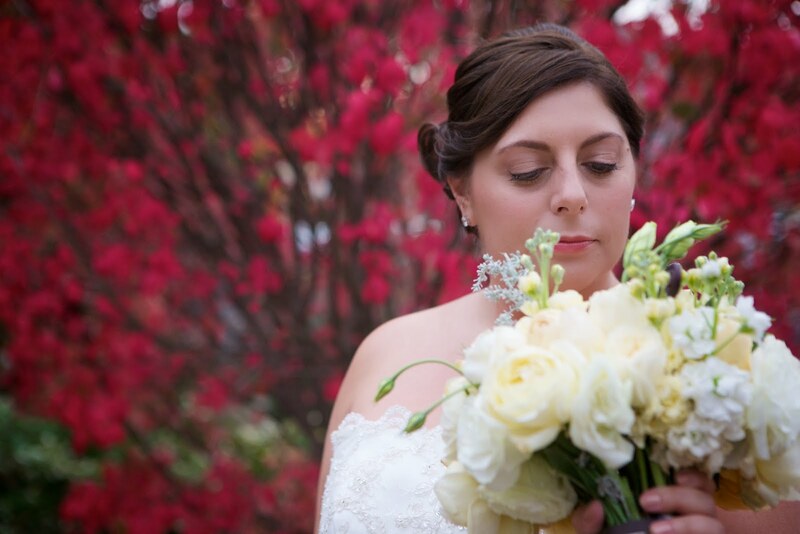 And congratulations goes out to the beautiful bride Katie! !